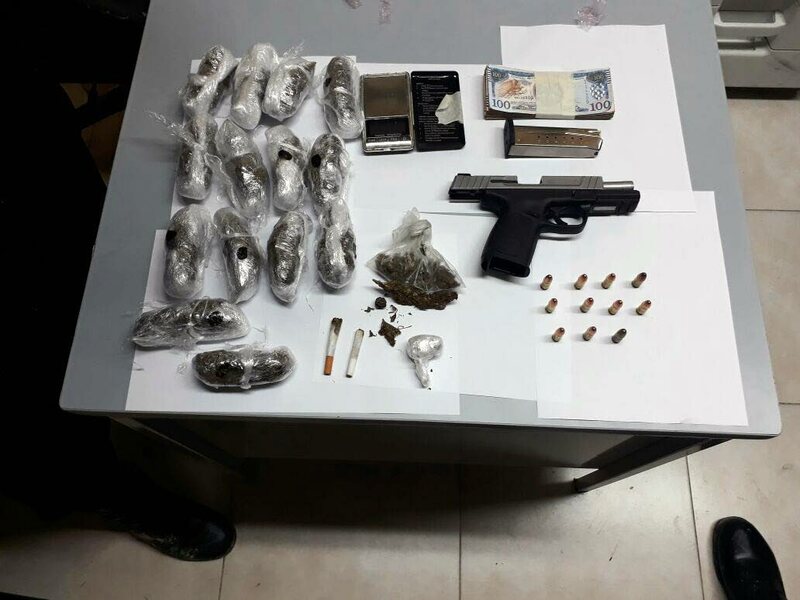 SEIZED: A pistol, ammunition, compressed marijuana and money believed to be the proceeds from the sale of illegal drugs, were seized by Eastern Division police who also arrested two men yesterday. SNR Supt Lloyd McCulkin of the Organised Crime and Intelligence Unit (OCIU) yesterday urged Minister of National Security Edmund Dillon and the acting Police Commissioner to provide better protection for witnesses of crimes and investigating officers who may be at risk of being killed by criminal elements. McCulkin was giving the closing address at the launch of the Regional Counter-Drug Intelligence training course at the Police Academy in St James yesterday. , in which officers who work undercover or close to criminal elements can seek refuge in other Caribbean territories. He said while the State’s intelligence agencies continue to work at full capacity, the task is particularly dangerous for officers in small islands where they can be easily identified. “One of the major challenges that confronts investigative work in small Caribbean islands is the fact that there are very few places where we can place witnesses and investigating officers for their own protection. Where do we put witnesses and investigators who are at risk of being killed? “Maybe we should lead by placing these officers in other Caribbean territories? We already have the platform for such an undertaking.”When Newsday spoke to Dillon after the ceremony, he said while he commended McCulkin for his concern, there are systems in place to deal with state witnesses. “These are agencies that already exist. “The Justice Protection Programme is one such programme that has been doing an excellent reaction so far with the protection of witnesses who have been certified by the Director of Public Prosecutions. Senior Superintendent Lloyd McCulkin of the Organised Crime and Intelligence Unit (OCIU) yesterday urged Minister of National Security Edmund Dillon and Ag Police Commissioner to provide better protection for witnesses of crimes and investigating officers who may be at risk of being killed by criminal elements. McCulkin, made the remarks during his closing address at the launch of the Regional Counter-Drug Intelligence Training Course, at the St James Police Academy this morning, in which he called on the Minister to work closely with his regional counterparts in drafting the framework for a police, in which officers who work undercover or close to criminal elements can seek refuge in other Caribbean territories. Reply to "OCIU head wants regional protection for intelligence officers"